Sometimes Christmas creeps up on us a little too fast. Regrettably, the mall is a rather unfortunate place to find yourself right before the holidays. For that awkward moment when someone bought you a gift and you didn’t, or for that last minute gift you forgot, here are some edible gift ideas that are a little more original than cookies. These recipes are easy and say more than just buying a gift card. 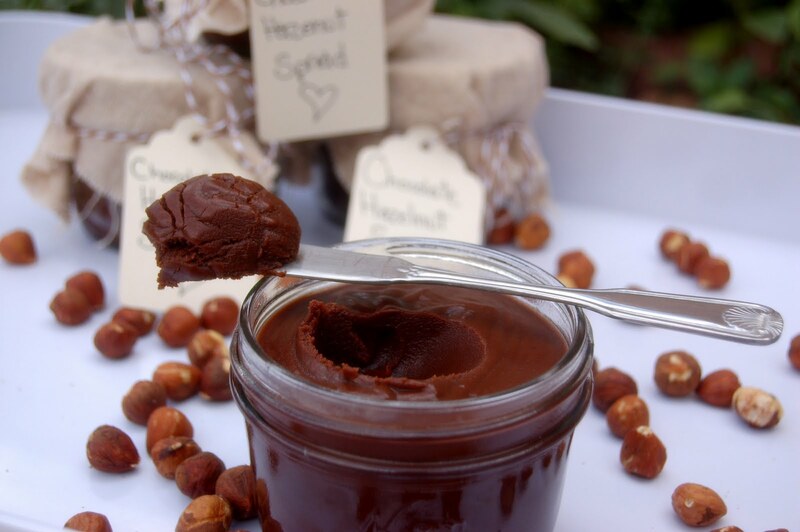 This is a homemade version of Nutella, the addictive chocolately spread that can be put on anything from toast to eating it plain with a spoon. It's guaranteed to be a crowd-pleasing gift, and you may even think it's better than the original. 1. Preheat oven to 350 degrees. Spread out hazelnuts on a baking sheet and roast until deep brown, about 13-15 minutes. Shake the pan every couple of minutes for even roasting. Let cool. 2. Puree hazelnuts and sugar in food processor and add vegetable oil smooth out the texture. It will form a smooth paste after a few minutes. 3. Put a large saucepan of water over medium-low heat. Place chocolate in a medium-sized bowl and set it over the saucepan of water. Stir often until the chocolate is melted. Remove the bowl and whisk in the butter. Whisk in cream and salt, then the hazelnut paste. Stir until smooth. 4. Place the mixture into jars and let cool. It will thicken as it cools. *It can be kept chilled for up to four weeks and room temperature for up to four days. You might want to make a double batch of these flavorful peanuts because once you try them, you won’t want to give them away. This family recipe was created on a vacation as a beach snack, but is just as delicious as a holiday gift. Don’t be surprised if you get asked for the recipe. 1. Preheat oven to 325 degrees. In a large bowl, combine the barbeque sauce, butter, garlic powder, cayenne and cumin. Add peanuts and stir until evenly coated. 2. 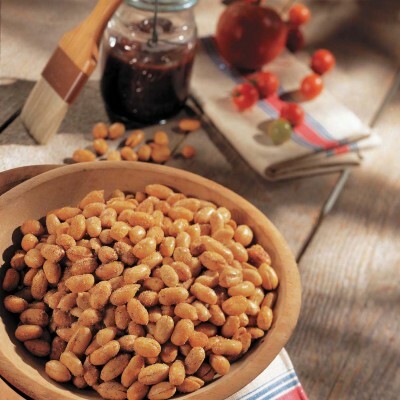 Grease a 13 x 9 baking pan and spread the peanuts out in a single layer. 3. Bake for 30-35 minutes, stirring every 10 minutes. Spread out on wax paper to cool. 4. Place in pretty jars for giving. 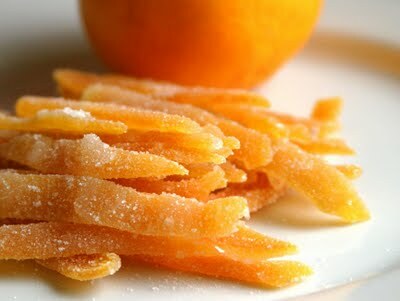 Take advantage of the delicious in-season citrus fruit and make these colorful little treats. With just a few simple ingredients, you can create candy that tastes as good as it looks. They are sure to be enjoyed long after the holiday season. 1. Using a paring knife, make six slits along the curve from top to bottom of each citrus fruit, cutting through peel but not into fruit. Using your fingers, gently remove the peel. Reserve fruit for another use. 2. Slice each piece of peel lengthwise into 1/4-inch-wide strips. Using a paring knife, remove excess pith from each strip and discard. 3. Place strips in a large saucepan, and cover with cold water. Bring to a boil, then drain. Repeat twice. 4. Bring sugar and water to a boil, stirring occasionally until sugar dissolves. Stop stirring. Wash sides of pan with a wet pastry brush to prevent sugar crystals from forming. 6. Using a slotted spoon, transfer strips to a wire rack placed on a rimmed baking sheet. Wipe off excess syrup with paper towels, then roll strips in sugar. Arrange in a single layer on a wire rack, and let dry for at least 30 minutes.